If you’re not making your grilled cheese with mayonnaise, you need to start. Right now. I know what a lot of you are thinking: Mayonnaise is gross! However, a couple swipes of mayo will take your grilled cheese to the next level. The condiment will ensure your bread reaches crispy, golden-brown perfection, the kind of crispiness that makes bread melt in your mouth. Butter just doesn’t have the same effect. 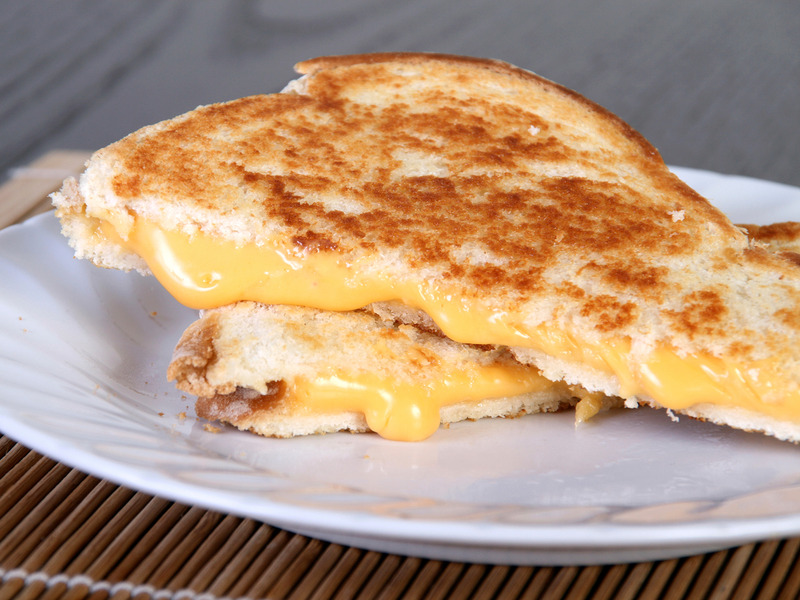 Next time you make a grilled cheese, spread a little bit of mayo on the outer sides (the sides you’ll be grilling) of each of your bread pieces. Then add your cheese and place the sandwich into a skillet with melted butter. Grill the sandwich (flipping consistently) until each side is browned to your liking. Cut in half and take a bite. Even mayo haters won’t be able to deny the deliciousness. Mostly because they won’t be able to taste the mayo since it’s been grilled into the sandwich. All they will taste is a crunchy, creamy, buttery grilled cheese. And who doesn’t like that?